Penalty hero Mark Gillespie says he would happily swap personal praise for points following Walsall’s defeat at Bury. The Saddlers kicked off their League One campaign in disappointing fashion on Saturday with a 1-0 loss at Gigg Lane. Despite the defeat, it was Gillespie who grabbed the headlines after the 25-year-old kept out one of two penalties. 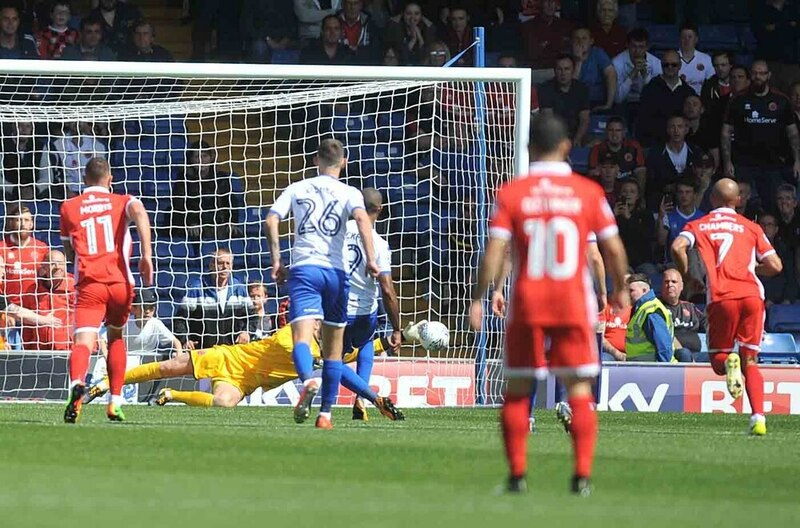 After producing an impressive stop to keep out Jermaine Beckford, the former Carlisle man then watched Chris Maguire hit the post from 12 yards. But while pleased with his overall performance, Gillespie said he’d happily trade that for points. “The first penalty was my first touch of the ball – it was madness really,” the keeper said. “As soon as they got the penalty, I thought it was a chance to do something that I’d remember for a long time. “It was in front of the away fans as well. Bury won the game when Beckford made amends for his earlier miss by scoring on the stroke of half-time. And Gillespie admitted the goal came at a bad time for his side. “If we’d got to half-time at 0-0, then we could have looked to push on and try to win the game,” he continued. “We gave everything in the second half but couldn’t quite force a goal. Walsall’s failure to score at Gigg Lane reaffirmed many fans’ fears the squad is lacking fire power. Gillespie though is adamant there are plenty of goals in the side. “We created chances – we didn’t look toothless,” he added. “We were looking for a goal but didn’t get it. We didn’t concede too many clear-cut opportunities but we didn’t create too many ourselves. “That’s something we can look at but we’ve got some very good players going forward.